Heads up, there are a ton of awesome events happening this month in Shadyside. Spring is here and has started to warm us up around the Burgh. 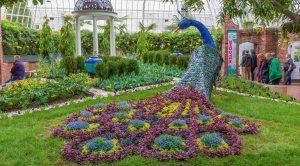 You’ll absolutely want to celebrate by seeing some gorgeous and unique flowers at Phipps Conservatory’s spring show or grab your bike for the Pale Ale Keg Ride. Plus, the Great Shadyside Yard Sale is at the end of this month too! Like we said, there are plenty of events to mark down on your calendar this month so let’s get started! Gardens of the Rainbow | Phipps Conservatory | Happening Now! First on our list is Phipps of course! The Garden Spring show is happening now but will end on April 21. There really isn’t a better way to greet Spring. Get tickets to the Gardens of the Rainbow show here. Pittsburgh’s University Center for International Studies are the hosts of this year’s Latin American and Caribbean Fest. Immerse yourself with Latin American and Caribbean foods, arts, crafts, music and dance, plus information on local and regional organizations. Many vendors will also be there with amazing, handmade goodies! Head out to the Galleria and Patio of the Wesley W. Posvar Hall from noon to 8 pm for one amazing experience! Get the event details from it’s Facebook event page here. 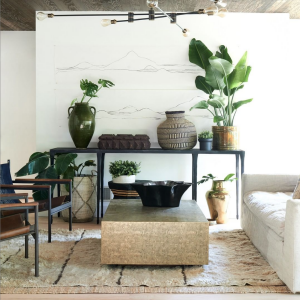 Whether you own a home with a back yard or rent an apartment, the biggest trend this year is fully embracing nature. If you’re someone who wants to add more plants in your home this event is a must attend! 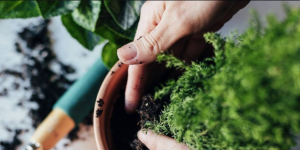 The Shadyside Nursery wants to make it easy for you to grow your green thumb by teaching Planting 101: How Not to Kill Your Plants. You’ll walk away from this class with tons of knowledge with planting and become a better plant parent. You won’t go home empty handed either. The projects you learn in class, you’ll take home with you. Class starts at 6:30 pm on Tuesday, April 16th so don’t be late! Read about the instructor here. You can bring the whole family out to this event! Kelly Strayhorn Theater is hosting the annual Fiesta Flamenca on Tuesday, April 16th. The doors open at 7 pm and the show will begin an hour later. Fiesta Flamenca is a community celebration of music, dance, and friendship. The show will feature a flamenco performance from Alba Flamenca and the students at Flamenco Pittsburgh. Get tickets and more event details here. The Ace Hotel on Whitfield Street is hosting this month’s Made and Found Spring Market. You’ll discover over 25 of the region’s best vintage shops, makers, and artists! Did we mention admission is free? Yep, this kid and dog-friendly market is completely free to enjoy, which means you don’t have to feel shy about buying more beautiful items from vendors. While you’re enjoying the vendors, coffee, brunch, and cocktails will also be available for purchase. See the full list of vendors here. How does a bike ride through Pittsburgh with a ton of fresh, local beer in tow sound? It sounds pretty awesome to us! On its fifteenth year, the Pedal Pale Ale Keg Ride is happening on Saturday, April 27. You will pedal along with an awesome group of people and stay refreshed with some delicious beer. Once the crew reaches the mystery destination, East End Brewing will reveal this year’s Pedal Pale Ale! It’s not all riding and drinking though. This keg ride is also one of the biggest charity events of the year and raises money for the Auberle Foster Care Foundation! Get the details and your tickets here! For more community events, follow Franklin West Apartments on Facebook, Twitter, or Instagram. In celebration of Women’s History Month, we wanted to feature some of the female business owners in our backyard! Roberta Weissburg opened the doors to Leathers back in 1991 and has been selling gorgeous outerwear and accessories for men and women ever since. This shop is definitely one of a kind. 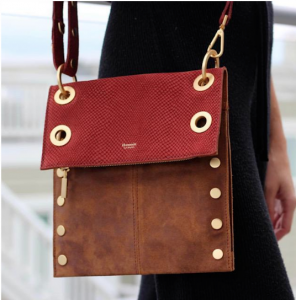 In the beginning, Roberta was working toward her dream by running Leathers from her apartment! Fast forward to 2008 and one major storefront renovation, Leathers now happily sits at 5415 Walnut Street. Read about her story and the opening of Leathers here. 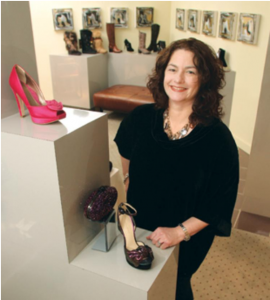 Jill Rubinstein is the owner running the Footloose Shadyside Boutique on Walnut Street since its opening in 1987. When you visit this shop you’ll be immersed in designer footwear, chic bags, and stylish accessories for women. 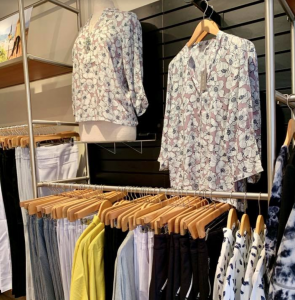 Read more about this story behind Footloose Shadyside boutique here. 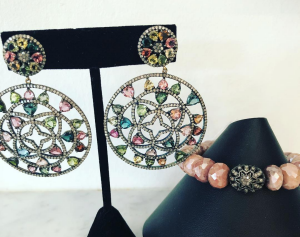 This local jewelry shop has been described as “Organic Elegance.” The owner and designer behind this beautiful shop is Graciana Rodriguez Fennell. 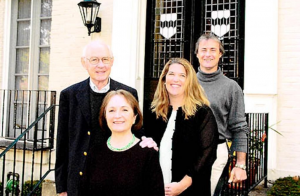 Her love and instinct for art swayed her from practicing medicine, and with a focus in jewelry design, she opened the doors to Gardell in 2006. Graciana’s influence from traveling the world makes her craft so much more special. Visiting this local shop on Walnut Street should definitely be on your to-do list. Read more about Graciana here. When looking for contemporary fashion, Pursuits is the Shadyside boutique with high quality, name brand items. Roberta Brody actually founded Pursuits back in 2002, but it has since changed hands. Discover more about Maria here! Ellen Chisdes Neuberg has been making and selling her art since the 70s. She recently opened her very own studio in Shadyside where you can watch Ellen at work and even buy her pieces. Her artwork has been featured all over Pittsburgh as well as galleries in New York, Florida, and Texas. Listen to Captured Pittsburgh’s Darkroom where Ellen is the guest star of the podcast episode. 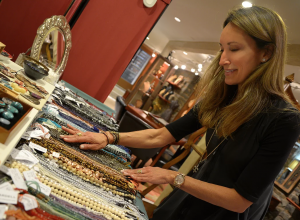 You’ll find this local jewelry store on Walnut street. Read more about Pam’s story here. Williams Sonoma is a pretty well-known retail store around the US, but did you know the CEO and President is Laura J. Alber? 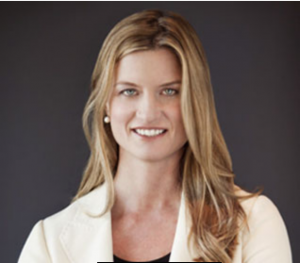 She is a University of Pennsylvania alum and became an American businesswoman who has led this retail giant since 2010! The retailer is known for high-quality products for your home. You’ll be able to visit this store on Walnut Street! 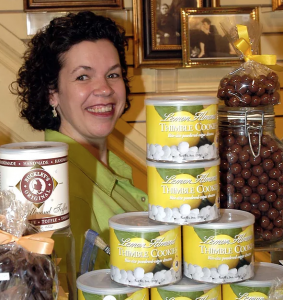 When you have a craving for chocolate, you have to visit Susan McGinty at Eureka! Susan has transformed her passion into a business by offering the finest products and personalized shopping experience. *Photo credit to Eureka Chocolates and Gifts via the website. 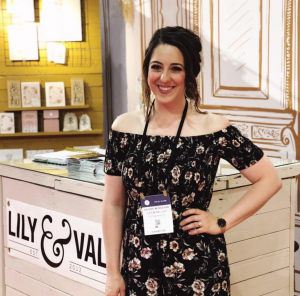 Valerie McKeehan is the creative soul and businesswoman bringing hand-lettered chalkboard art to life through Lily and Val. First hustling as a small, virtual shop on Etsy, Lily and Val is now a boutique on Liberty Ave. Learn more about the Lily and Val story here! Carolyn Rafaelian is the CEO and Founder of Alex & Ani. As an American-Armenian entrepreneur and businesswoman, she runs her business with a force of positivity! You’ll find this beautiful retail/jewelry store on Walnut Street. 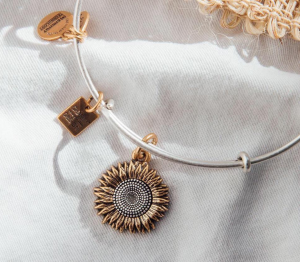 See more about the Alex & Ani story here. Check out more of the Weisshouse story here and visit them on Highland Ave.
Are you on the lookout for something fun to do this weekend? Are you ready for second winter to wrap up? Us too. But we also have more good news. One of the biggest happenings within Shadyside is the celebration of Mardi Gras! What better way to spend a truly amazing night out with friends than at Phipps Conservatory and Botanical Gardens? On Friday, March 1, the Party in the Tropics event will have a Mardi Gras theme and we’re very excited. This event will surround you with the beautiful greenery and rushing waterfalls inside of Phipps. You’ll also have the chance to try sweet and savory morsels, indulge in unique cocktails and enjoy seasonal beer selections. Plus, you’ll be able to dance the night away with the live DJ. Sounds like an awesome way to de-stress after a long week of work. Curious about how Mardi Gras became the great celebration it’s known for today? Looks like great minds think alike. We were curious, too. Many communities and cities are known to host great, fabulous parades in celebration of Mardi Gras. But, did you know the first American Mardi Gras took place in New Orleans in 1699? The annual festival occurs the day before the Christian celebration of Lent. Mardi Gras is also known as Fat Tuesday or the last opportunity to eat rich foods before the fast of Lent begins. Now that you’re armed with some Mardi Gras trivia, we’ll give you the finer details of the Phipps event. The 4-hour party starts at 7 pm and is for anyone 21 years or older. Keep in mind the Party in the Tropics event is free with Phipps admission, but space is limited. Don’t forget to come with a mask and beads! It’s Restaurant Week in Pittsburgh. Food lovers, rejoice! Yes, it’s officially the most delicious time of the year. If you’ve never heard of this celebration then get ready to get your socks knocked off. Restaurant Week is 7 days of the best meal deals in the Burgh. We rounded up the Shadyside eateries participating in Pittsburgh’s Restaurant Week. Let your taste buds go wild at the Twisted Frenchman. Chef Andrew Garbarino calls the shots here. 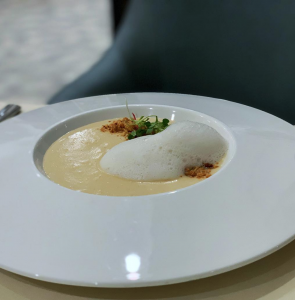 This modern French eatery on 5925 Baum Boulevard will take you on one delicious experience. In the mood to give authentic Japanese cuisine a try? Pittsburghers know this is where you go to get your ramen fixing. Fujiya Ramen encompasses tradition, flavor, and with a 4.9 rating on Facebook, how can you want to go anywhere else during Pittsburgh’s Restaurant Week? Using local ingredients, Pino’s Contemporary Italian Restaurant and Wine Bar is led by Chef Joseph Mico. On 6738 Reynolds Street, this fantastic eatery is serving up the best Italian cuisine. 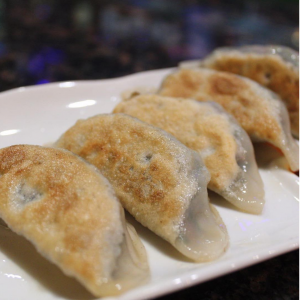 When visiting, you can expect a knowledgeable wait staff and one deliciously fresh meal. 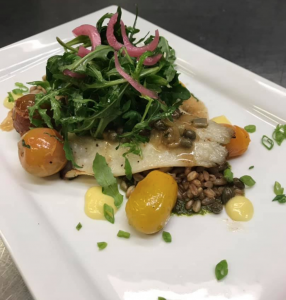 Click here for the Restaurant Week menu! 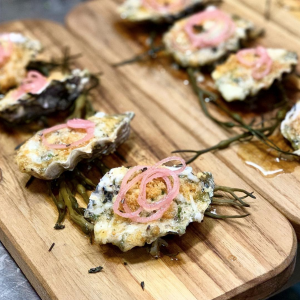 We can’t say enough good things about Muddy Water Oyster Bar! Getting a 4.5 rating on both Facebook and Yelp, this eatery on 130 South Highland Ave is a must visit during Restaurant Week. At a glimpse, Muddy Waters pairs the finest shellfish America has to offer with the best Cajun food this side of the Mississippi! 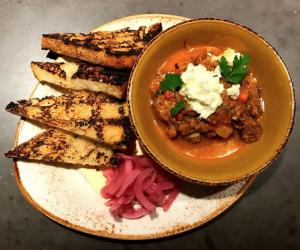 Cooking up the best of American cuisine, Spoon is celebrating Restaurant week with a three-course meal for $35 bucks. Now that’s our kind of deal! With a title of “Pittsburgh’s Premier Dining Destination,” Spoon keeps things exciting by reinventing their food and drink selections with the highest quality in mind. Keep tabs on their Instagram page all week for snapshots of the delicious food they will be serving up. You can’t go wrong with BRGR. Traditional American is the game at this eatery with plenty of gourmet burgers and handmade milkshakes to go around. Their 4-star rating on Facebook says it all. 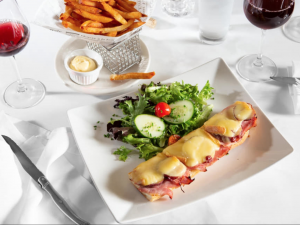 On 6018 Centre Ave, Frederic and Lori Rongier transform a slice of Pittsburgh into an authentic Paris experience. Relax and enjoy the charm of Paris 66, which offers more than the everyday French cuisine. Receiving a 4.5 on both Facebook and Yelp, you can discover this eatery knowing it’s already amazing. Though it’s on everyone’s to-do list, cleaning isn’t exactly the most exciting task. Unless you’re Monica Geller from Friends. Regardless if you like it or not, cleaning is a necessary evil and there’s no better time than at the start of a new year. Here’s your challenge. For one week, designate two new hours to divide and conquer each room in your apartment. Based on an average 2 bed, 2 bath apartment layout, you’ll be ready to start fresh in less than 10 days. Two hours of cleaning for 10 days.. now that’s manageable, right? Here are a few tips to get you started so you don’t get overwhelmed with the process. One thing you don’t want to do is overwhelm yourself. Compared to two-story houses, decluttering an apartment may seem like a pretty manageable task. But it’s important to take it one step at a time. Here’s a quick tip. If you normally clean midday, try cleaning during the early morning or during the evening. Simply switching up your routine could make the chore easier on your mindset. Like we said before, dedicate two hours to cleaning one room and come prepared. Nothing is more annoying than being elbow deep in cleaning a bathtub then realizing you forgot the lavender scented soap that washes away the chemical smell of the cleaner. If the bathroom is your first target, grab a bucket and fill it with everything from the multi-surface cleaning spray to your favorite sponge. Same deal with all the other rooms too. Once one room is 100% complete, then move on to the next. Apartment Guide created an amazing list of essential cleaning tools to keep your apartment in tip-top shape! After you decide what room to start with, dedicate five separate areas to keep, donate, sell, recycle, or throw away. More than likely your keep pile will be your biggest unless you are really on a mission to declutter your room. To make sure your keep pile doesn’t become your only pile here are some questions to ask yourself. Has this item been of use to me within the last year? Am I making up far-fetched excuses just to keep it? Just remember what Marie said about what you own is actually a reflection of how you live your life. What to do with the items that are still in good shape but could be cut out of your life? Donate them! Things like clothes are super easy to donate. Plus, the start of a new year is the best time to purge a few items you haven’t worn since last January. If you’re on the fence about which clothes to donate make sure to use the 3-question Keep Test above. Other items like kitchenware, decorative knick-knacks, books, furniture, tools, or electronics can also be donated! Deliver your items to the Goodwill on 5993 Centre Ave. You can also go to the Salvation Army or the Vietnam Veterans of America, where you can even schedule a free pick up. Now let’s say you have lightly used items, but they’re taking up too much space in your apartment. Sell them! Amazon, Facebook Marketplace, and Craigslist make it super easy to get extra cash off of items you don’t use anymore. You know all those random papers that pile up in your cabinet? Or the mountains of plastic that hide in every nook and cranny of your living space? Well, it’s time to do something about them. We challenge you to reduce your recycling footprint this year. At Franklin West, our partners at Republic Services make recycling too easy with the mandatory All-in-One Recycling program. Click here for guidelines to recycling in the Shadyside area. If you don’t want to keep, donate, sell, or recycle items, then you need to pitch it! It’s as simple as that. Purging items can be difficult, but just think of the extra room you will have once it’s gone. After you mine through your apartment on what stays and what goes, the next step is finding a place for the things that are staying. One key tip is to clean first, then go out and buy the extra storage after. You don’t want to jump and buy any old, clucky storage bins. Look for different ways to store items whether that’s vertically, or in hanging cubes. Unless you have a knack for labels, using clear bins will help you easily identify internal items. There are a ton of tricks to declutter your apartment. From stylish woven baskets to multi-purpose furniture. Woman’s Day has awesome organization tips that you can easily use in your apartment. Alright, now you know what steps to take for a clean and decluttered apartment. Do you accept our challenge? Tomorrow is a new day and a new year! For many that means sticking to a new years resolution while others are just trying to remember to write 2019 instead of 2018 when it comes to the date. Regardless of what you’re trying to accomplish this year, it’s important you know about all the amenities available to you in Shadyside. We’ve drummed up a list of resolutions that will be easy for you to stick to while living in Shadyside, Pittsburgh. If becoming your healthiest self is on your to-do list in 2019, there are many different fitness locations within Shadyside to help you achieve that goal. You’ll have endless choices like pilates and yoga to CrossFit and weight training! 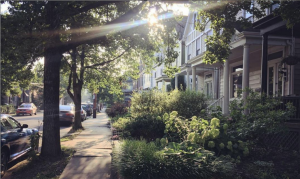 Plus, Shadyside is known for its tree-lined sidewalks, which makes running much more enjoyable! After a long day of work, cooking something for dinner just seems like a daunting task. Next thing you know pizza and fast food seem like an excellent alternative. We’ve all been there. But starting January 1, you made a promise to eat healthily. We recommend setting a budget aside each month that you’re willing to spend on eating out. Just make sure you choose healthy eateries and lucky for you, Shadyside has a handful of awesome, healthy restaurants like Choolaah, Salud Juicery, or Honey Grow. For fresh, local and organic produce, you have to check out the East End Food Co-op! First things first, explore the neighborhood. You’ll be delighted by the friendly people and the bountiful amount of things to do. Follow us on Instagram, Facebook, or Twitter to discover what’s new in Shadyside and the East End. Go to the local events. Shadyside proudly hosts many events month in and month out. Go to Think Shadyside for a calendar of events! Take a class at any of the three nearby universities. If you have the time, learn about a topic you were always curious about and make new friends in the process! Is doing more to help others is on your agenda for the new year? Community service isn’t only a good deed but can make you feel more self-fulfilled, which can better your mental health. Take a look at how you can support these local charities 412 Food Rescue, Achieva, and Best Buddies. As temperatures begin to fall into the 20s and snow makes its arrival here in Pittsburgh, we know it’s officially time for the holidays. With joy and merriment in the air, we gathered a list of our favorite holiday events near Shadyside. Here are some events you’ll want to mark down on your calendar for this month. If you’re still in the market for a holiday tree, head over to the Shadyside Nursery! With a wide range of different types and sizes, you’ll definitely be able to find a tree you like. This year, the Shadyside Nursery is also selling locally made ornaments and holiday lawn decor too. When you purchase a handmade Charity Wreath you’ll be supporting Big Brothers Big Sisters of Greater Pittsburgh. Over one hundred have been sold so far! 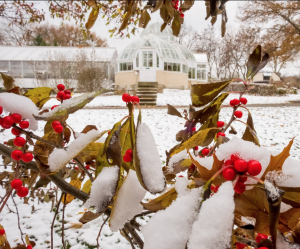 When you ask any Pittsburgh local what the best thing to do during the holidays, we would bet Phipps Conservatory is one of their suggestions. Phipps winter garden show is both breathtaking and mesmerizing! The theme is “Let It Glow,” and they certainly pulled out all the stops. With a ton of new features, you’ll experience dazzling holiday tree displays, winter ice towers, color-changing architectural lights, and an array of gorgeous flowers. On select nights, Phipps will host a variety of musical entertainment. Check out the schedule here. This weekend is the Gifts and Greens Market too! It’s a free event hosted by Phipps and welcomes guest vendors. 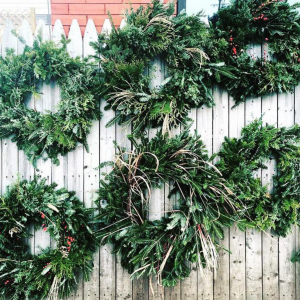 Shop for fresh greens, garland, poinsettias, holiday decorations, and so much more. 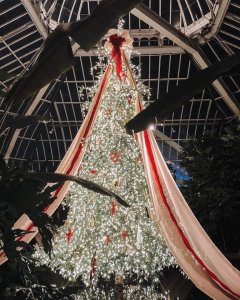 If you haven’t yet been out to Phipps during the holidays, you definitely need to put it on your calendar this year. On Saturday, December 15, East End Brewing will host Crafts and Drafts! Local artists and vendors will be present with arts, crafts, and gifts to help with your last minute shopping. Great food will also be available from La Palapa Mexican Kitchen and Leona’s Ice Cream Sandwiches. Holiday tours at the Clayton Mansion are a must-see Pittsburgh tradition. The beautifully decorated Frick Family home will allow you to reimagine the events of 1908. This Saturday, December 8th, the Frick is also hosting a free event of holiday art-making and interactive tours. Check out their site for more events and ticket information. There’s nothing more festive than towering evergreen trees dressed in lights and decorative ornaments! As you make your way to the Hall of Architecture, you’ll experience the Carnegie Trees and Neapolitan Presepio. This year, CMOA collaborated with Carnegie International artist, Karen Kilimnik, to bring the five trees to life. Each one decorated with handcrafted ornaments. Displayed next to the trees is a lifelike and colorfully detailed 18th-century Neapolitan Presepio Nativity Scene. CMOA notes the scene was crafted by hand between 1700 and 1830. CMOA’s holiday display will be up until January 7th. This one is a Pittsburgh tradition you’ll want to see for yourself. If you want to do something unique during the holidays, you can always count on the Ace Hotel. They’re hosting several events this month. The first is Yappy Holidays: A No-Flea Market for Humane Animal Rescue and it’s this Sunday from 11 am to 3 pm. It’s a holiday pet market with plenty of pet-related vendors and bloody marys for you. A portion of the proceeds will benefit the Humane Animal Rescue. On Sunday, December 16th, the Ace Hotel is hosting the Anemoia Vintage’s Made + Found Holiday Market. It will feature over 50 of the regions vintage and handmade vendors! Admission is free and light drinks and brunch will be available for purchase. Wanting more of a holiday dinner experience? Get yourself a ticket to Sharing Knives – Apteka’s Eastern European Christmas Dinner with Kate Lasky and Tomasz Skowronski. This vegan style dinner is based around traditional Eastern European holiday meals. Buy your ticket and make your reservation soon because this event is taking place on Wednesday, December 19th. If you’re looking for New Years Eve plans, check out the Fiesta at Steel Cactus. Make dinner reservations before 8 pm and get your new year celebration on with a DJ and dancing starting at 9 pm. That’s a wrap on our list of holiday events, and yes, we checked it twice! Don’t forget to follow us on social media for more updates on events in Shadyside and so much more during December. Pittsburgh is home to many winter traditions. One local favorite and our must-do winter tradition is visiting The Frick Pittsburgh. From the historic home of the Frick family and the 5 plus acres of gorgeous gardens to the truly awe-worthy art exhibitions, The Frick is absolutely Pittsburgh’s hidden gem! 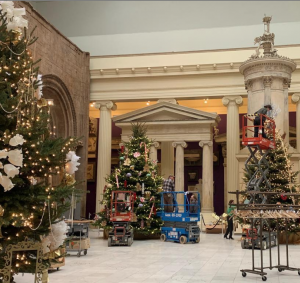 The Frick’s Clayton Holiday tours are such a site to see! The Clayton Mansion is lavishly decorated with holiday splendor that is reminiscent of the 1900s. General admission is only $15 and the celebrations last up until January 6th. Plus, every Friday evening, The Frick hosts Holiday Harmonies! A trio of carolers strolls through the Frick grounds singing traditional holiday songs up until the last Friday of the month. The wonderful carols paired with brilliantly decorated lights, it’s a wonderful way to get into the holiday spirit! Click here for The Frick’s calendar of events and to purchase tickets! 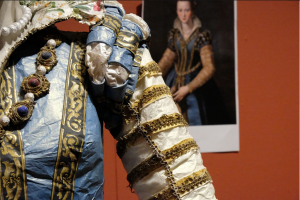 While you’re enjoying the Clayton Home, The Frick is also showcasing the amazing Isabelle de Borchgrave: Fashioning Art from Paper during the winter season. You haven’t seen paper like this before. Borchgrave’s breathtaking work reflects Renaissance Italian gowns and modernist costumes of the Ballet Russes. Her life-size, works of art is completely made of painted and manipulated paper. That’s right, simple paper. Watch a quick video and hear from the artist herself! On Fridays starting at 2 pm The Frick hosts Gallery Talks. Join art admirers in a conversation on Borchgrave’s work. This week, the conversation will focus on Succès de Scandale: Picasso, Satie, and the Ballets Russes. Isabelle de Borchgrave: Fashioning Art from Paper exhibit is open to the public from now until January 6th. If you have a love for fashion or art, we can’t recommend this exhibit enough. Want to learn more about Isabelle de Borchgrave’s process? You can find a short excerpt about her and her amazing art here. *All photos were found on The Frick’s Facebook page. Is there anything better than shopping for bargains and supporting local business? We couldn’t think of anything either. Small Business Saturday is on November 24th this year and we’re very excited! In case you didn’t know, Shadyside is home to over 80 independent and national businesses. Oh, the treasures you will find! During the biggest shopping season of the year, we decided to handpick a few of our favorite local shops to help you with your gift search. Plus, Think Shadyside is giving us the insights on which small businesses are having the biggest sales! 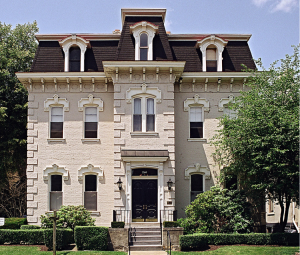 Trim Pittsburgh – 5968 Baum Blvd. When you visit E.B. Pepper this weekend, take 20% off all regular priced items. We like that kind of bargain! Roberta Weissburg Leathers has something big in store for Small Business Saturday. If you donate a gently used jacket or coat on Saturday, Leathers will gift it in your name to The Clothing Line, which benefits the Magee Hospital and you’ll receive a discount on any new outerwear! If you’re looking to treat yourself or your significant other, look no further than the gorgeous jewelry from these local stores. For kids, this time of the year means it’s time to start scouting out the best toys and getting that list together. 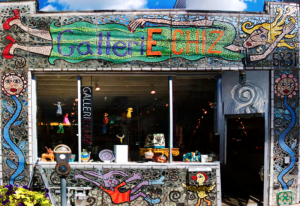 These two local shops are a child’s favorite in Shadyside, so be sure to stop! While you’re out shopping for the kiddies, don’t miss Santa. That’s right, Santa Claus himself will be visiting Walnut Street, Shadyside between 1 to 3 pm during Small Business Saturday! Santa will have treats for the kids and shopping discounts for the moms and dads. Our pets are family and Petagogy is the local place to go for your beloved pet! On Small Business Saturday, you will receive 10% off your total purchase (minus gift cards) and they are running a contest too. When you shop in-store, snap a quick selfie, post it on Instagram, and use #PetagogyShopSmall in the post. Petagogy will then select a winner at random from those who participated and give a gift bag filled with holiday goodies! Head on over to 5880 Ellsworth Avenue and visit Petagogy! “I hate shopping for shoes.” Said no one ever. Shadyside is home to a handful of fabulous shoe shops. Up until Monday, you can get $50 off any order over $150 when shopping at Footloose. If you’re looking for a practical, but out of the ordinary gift, something for the home can be a timeless treasure. By the way, you’ll find Feathers offering up to 25% off select beds and bath linens plus up to 20% off more select styles from brands like Sferra, Matouk and so much more! There are a few stores in Shadyside that’s fully dedicated to specialty gifts. Eureka Gifts is starting their celebration on Friday, November 23rd with chocolate treats and wine to kick off the season! When you visit Kards Unlimited you will get 10% off ornaments. One last thing before we go. Have you heard of Museum Store Sunday? We’ve all done Black Friday and Cyber Monday, but it’s time to experience a new kind of shopping. Museum Store Sunday means all the museums in Pittsburgh will have special events and sales happening in their stores on Sunday, November 25th! All four Carnegie museums, The Frick, Phipps Conservatory and so many more Pittsburgh museums are participating. If you’re looking to give a loved one a unique gift this year, you have to check out Pittsburgh’s museums. Get more information here!